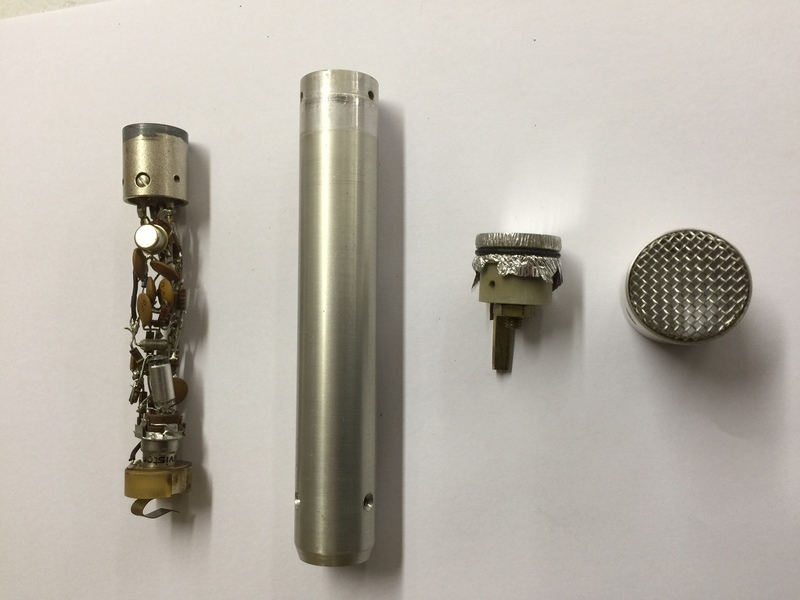 The Transicap condenser microphone was designed in the early 1970s by John Hain and Stan Kriz, engineering students at Carnegie Mellon University and members of the campus radio station WRCT. The mechanics were hand lathed by my father in his shop in Baltimore, Maryland. The diaphragm was made of vacuum spattered mylar stretched over a brass backplate mounted in an epoxy resin body. The backplate was threaded into the epoxy body so that it could be adjusted to the correct capacitive gap. The bodies were made of silver anodized aluminum. We developed special tooling for stretching the mylar and adjusting the capacitive gap. Two special black anodized Transicaps were built and subsequently dissapeared from Exhibition Hall at CMU. 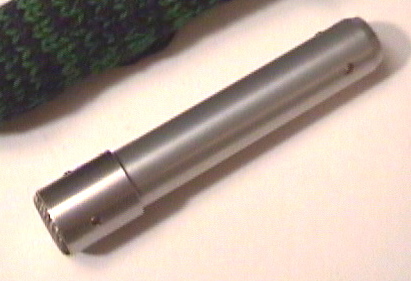 The core of the electronics was a small metal bodied nuvistor tube which required an external high voltage power supply. For this reason, the microphones used a four pin cannon connector between the microphone and the power supply. A standard three pin cannon connector was used between the power supply and the mixing board. We recorded Stephen Schwartz’s (Wicked) New York audition tape at CMU using Transicap microphones and a hand made mixer. My favorite story from the session was Stephen putting thumb tacks in a CMU upright rehearsal piano to make it sound like a harpsichord. That’s crazy! I hadn’t realized that it was all hand-soldered discrete components inside those.